The High Court hearing that will decide the future of Portsmouth Football Club has been adjourned for a third time, until 14 February. The original hearing was adjourned in December until 15 January and a second date was rearranged for 16 days later. 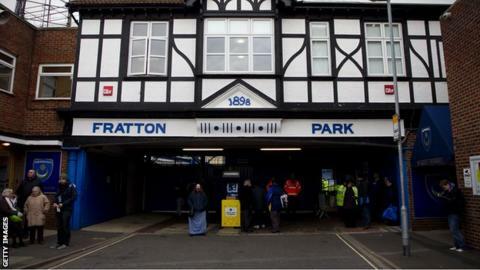 Administrators PKF have agreed to sell the club to Pompey Supporters' Trust, but on the condition they buy Fratton Park from former owner Balram Chainrai. PKF also confirmed the administration has been extended until 17 August. As the PST looks to conclude its deal to buy the League One club, it released a statement in reaction to a Commons Culture Media and Sport Committee report that recognises "the importance of supporter involvement in clubs". Trust chairman Ashley Brown said: "We particularly welcome the recognition that Supporters' Trusts should be at the heart of any licensing and monitoring framework and also that the issue of making it more straightforward for fans to buy a stake in their clubs. "Pompey fans have been hugely generous, potentially raising more than £3m to buy our club. "However, the hurdles we have faced as a Trust, some put in front of us by the world of football itself, have contributed to the fact we have still to get our bid over the line, although we remain confident we will do so." PKF is attempting to force the sale of Fratton Park through the High Court but Chainrai, through his company Portpin, is fighting that sale. The PST has offered Chainrai, who claims he is owed £12m by the club, £2.75m for the ground but he has refused to sell and values Fratton Park at about £9m. If a judge agrees to force the sale of the ground then an independent valuation will be made. Pompey, who are said to be £61m in debt, have been in administration since February 2012 and are facing a second-successive relegation as they lie 23rd in League One and still face a 10-point deduction.